I’ll say it straight up: I’m a big fan of babywearing. I’ve spammed the #babywearingdad hashtag on Instagram. I’ve used several of them through the years, and I’ll happily wear my 4 year-old daughter right now if she wanted me to. It leaves your arms free to do other important things, like opening doors, carrying groceries, and playing Halo. It keeps your kids close to you in a crowded area, especially if they’re extremely mobile and curious. Tackling stairs and escalators with a pram makes you as unwieldy as a giant chicken-legged enforcement droid. This is a great way to get that closeness and paternal bond from attachment parenting. 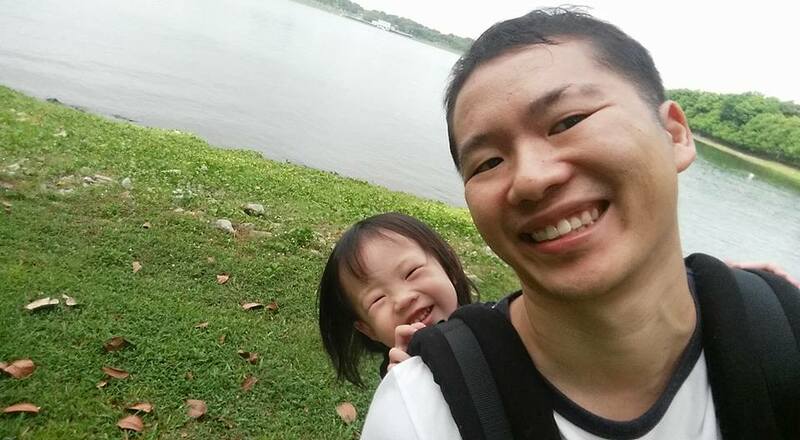 Since dads can’t breastfeed, strapping on your kid and going for an evening stroll is the next best way to calm them down and put them to sleep. It’s better for your back, especially if you’re going to end up carrying them in your arms anyway. That said, there are also tons of different babywearing options available, ranging from simple wraps and sling rings to more sophisticated parachute-looking carriers. So which do you choose? Here are some of the options I’ve tried in the past. The original baby carrier, wraps date back to ancient times and can be found in all kinds of cultures from Africa to Asia. It’s generally a long piece of cloth like a giant scarf, either stretchy or woven, and you use it to wrap your kid to you. There are lots of different ways to wear a wrap, and you can find plenty of creative methods on YouTube. However, I could never remember any of them, and I don’t usually have the time to watch a YouTube video while I struggle with a grumpy kid. My wife’s cousin swears by them though, and you’d be hard-pressed to find an Instagram post of hers where she’s not wearing one. If you’d like to try one, check out the Boba range as they seem to be popular – probably because they share the same name as the galaxy’s most feared bounty hunter. But if you’re forgetful like me, you can always try the K’tan Breeze wrap! This is a much easier system, as it comes in two pieces. The first consists of two loops held together by a smaller loop. The second is a belt-like piece that also acts as a pouch to keep the first piece (very convenient!). To put it on, you just sling each loop over your shoulders, and you end up with a giant X on your chest like you’re a mutant superhero or something. Then you tuck your kid in, with the loops going around their back and stretched across their bum. The second piece is like a belt, which goes over their bum and your back to reinforce and support their weight. It takes just a minute to unpack and put this thing on. Aside from the convenience, what I also like about the K’tan is that it’s made from stretchy jersey-like material that feels soft against your skin and breathes well. 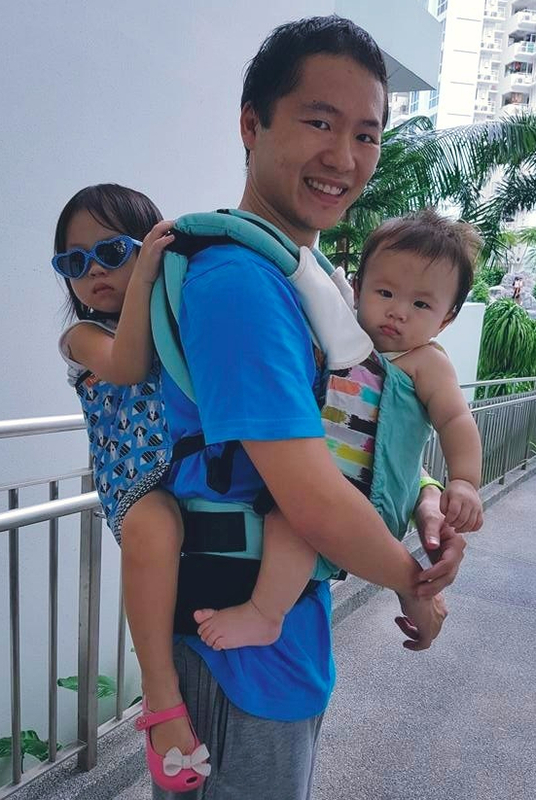 This is important for the Singaporean climate, because if daddy is less sweaty, then baby and daddy are more comfortable. 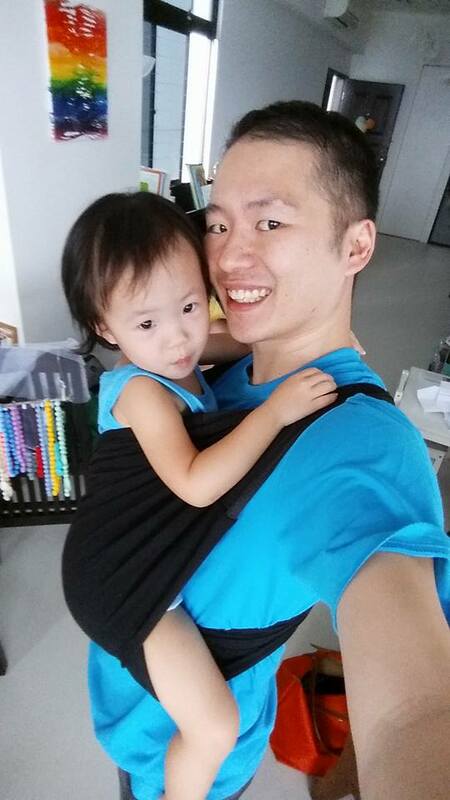 Ring Slings are something like wraps, except they only go over one shoulder, and your kid will be balanced on the other side. For this reason and this reason alone, I’m not really all too fond of them. It’s probably great if you’re breastfeeding, but that’s not a concern for dads and I just wouldn’t feel my kid is secure enough if I had to run away from zombies. From Tulas to Baby Bjorns, there are plenty of these on the market. It’s like a backpack with the padded straps, and these straps are generally adjustable and easily attached with buckles. The weight distribution on these are superb, and I’ve gone out on longer errand runs with my kids without feeling a strain. Unlike the K’tan, I have no fear that these will tear if the kids bounce in it. I probably won’t test its limits by going free-running through Venice or anything, but it feels durable. You can front-wear the kid, which is convenient as you can see what they’re doing (and necessary if you have to wear a large backpack of child supplies), but the flexibility of these carriers means you can also convert to a back carrier on the spot. I have a Tula and I take every opportunity to use it, especially now that both my kids can be worn in the backpack position. I feel like Luke Skywalker training with a drooling Yoda on my back. If you haven’t gone out with a kid strapped to your back, you’re missing one of the great joys of being a dad. Both my kids absolutely love it, and it makes me feel so fatherly. Plus, the backpack position means the strap buckles are in front of you, and you don’t have to do some yoga stretching to attach buckles behind your upper back. These are like variations on the soft support carriers, with the addition of a solid foam seat for the kid to sit on. The benefit of this seat is that the straps and support can be removed, so it becomes this belt that goes around your waist with a baby seat on it. Kids are easily put on or carried off without fiddling with any straps in this mode. My wife used this a lot when taking the kids out, because my son is a bit hyper and would like to hop out and explore playgrounds. For me, I didn’t mind using it in the full carrier mode, although it doesn’t keep and store away as easily as the ones without the seat. As for using it as a belt with a seat, well, it still requires your arms to hold your kid tight and that for me defeats the purpose. Go on and put on your kid! Here are just some of the many options you have for baby carriers. No matter which option you go with, you’ll likely enjoy the experience of babywearing. And should you not like a particular model or maybe your kid grows out of it, you can always sell your preloved carrier on Carousell, and then buy another one from a Carouseller just like yourself.